Heavyweight hooded sweatshirt, 80% cotton 20% polyester. 9.5oz. 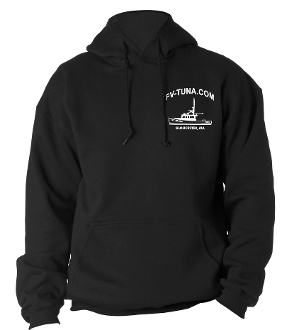 With FV-Tuna.com boat design printed on left chest and full back.